This article is about the University of Hawaiʻi system. For the flagship campus at Mānoa, see University of Hawaii at Manoa. The University of Hawaiʻi at Mānoa is the flagship institution of the University of Hawaiʻi system. It was founded as a land-grant college under the terms of the Morrill Acts of 1862 and 1890. It is well respected for its programs in Hawaiian/Pacific Studies, Astronomy, East Asian Languages and Literature, Asian Studies, Comparative Philosophy, Marine Science, Second Language Studies, along with Botany, Engineering, Ethnomusicology, Geophysics, Law, Business, Linguistics, Mathematics, and Medicine. The second-largest institution is the University of Hawaiʻi at Hilo on the "Big Island" of Hawaiʻi, with over 3,000 students. The smaller University of Hawaiʻi-West Oʻahu in Kapolei primarily serves students who reside on Honolulu's western and central suburban communities. 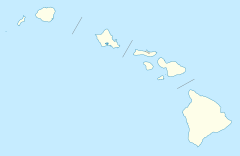 The University of Hawaiʻi Community College system comprises four community colleges island campuses on O'ahu and one each on Maui, Kauaʻi, and Hawaiʻi. The schools were created to improve accessibility of courses to more Hawaiʻi residents and provide an affordable means of easing the transition from secondary school/high school to college for many students. University of Hawaiʻi education centers are located in more remote areas of the State and its several islands, supporting rural communities via distance education. In accordance with Article X, Section 6 of the Hawaiʻi State Constitution, the University of Hawaiʻi system is governed by a Board of Regents, composed of 15 unpaid members who are nominated by a Regents Candidate Advisory Council, appointed by the governor, and confirmed by the state legislature. The Board oversees all aspects of governance for the university system, including its internal structure and management. The board also appoints, evaluates, and if necessary removes the President of the University of Hawaiʻi. The University's governing board includes a current student appointed by the Governor of Hawaiʻi to serve a two-year term as a full voting regent. The practice of appointing a student to the Board was approved by the Hawaiʻi State Legislature in 1997. Alumni of the University of Hawaiʻi system include many notable persons in various walks of life. Senator Daniel Inouye and Tammy Duckworth both are veterans of the US military who were injured in the line of duty then later entered government service. Bette Midler and Georgia Engel are successful entertainers on the national stage. President Barack Obama's parents, Barack Obama Sr. and Ann Dunham, and half-sister, Maya Soetoro-Ng, also earned degrees from the Mānoa campus, where his parents met in a Russian language class. His mother earned three degrees from the University of Hawaiʻi including a PhD in anthropology. The University of Hawaiʻi system has had many faculty members of note. Many were visiting faculty or came after they won major awards like Nobel Laureate Georg von Békésy. Ryuzo Yanagimachi, principal investigator of the research group that developed a method of cloning from adult animal cells, is still on the faculty. Robert, Kamins (1998). Mālamalama: A History of the University of Hawaiʻi. David, Yount (1996). Who Runs The University? The Politics of Higher Education In Hawaiʻi, 1985-1992. ^ Magin, Janis L. "Land deals could breathe new life into Mōʻiliʻili". Pacific Business News. Sunday July 1, 2007. Retrieved on October 5, 2011. "Dobelle at that time had even suggested moving the University of Hawaiʻi system offices from the Mānoa campus to office space in Mōʻiliʻili, something the current administration is not actively considering." ^ "Office of the President". University of Hawaiʻi System. Retrieved on October 5, 2011. "Office of the President; 2444 Dole Street; 202 Bachman Hall; Honolulu, Hawaii 96822"
^ "Office of the Board of Regents". University of Hawaiʻi System. Retrieved on October 5, 2011. "Executive Administrator and Secretary of the Board of Regents; 2444 Dole Street; Room 209, Bachman Hall; Honolulu, Hawaii 96822"
^ "Hawai'i Community College - PALAMANUI". hawaii.hawaii.edu. ^ "University of Hawaii - Ocean Engineering & Law Education". EduMaritime.net. ^ "Description of Duties of the Board of Regents of the University of Hawaiʻi". 9 August 2007. Retrieved 14 September 2013. Wikimedia Commons has media related to University of Hawaii.